The Customer Business Credit Application is given to a customer requesting credit with your company. This Customer Business Credit Application is included in editable Word format that can be customized in Word or by using the included Wizard software. Home Equity Loan #: Loan Balance: Institution Name. I hereby certify that the information supplied above is complete and accurate. I hereby authorize the financial institutions listed in this credit application to release necessary information to the company for which credit is being applied for in order to verify the information contained herein. 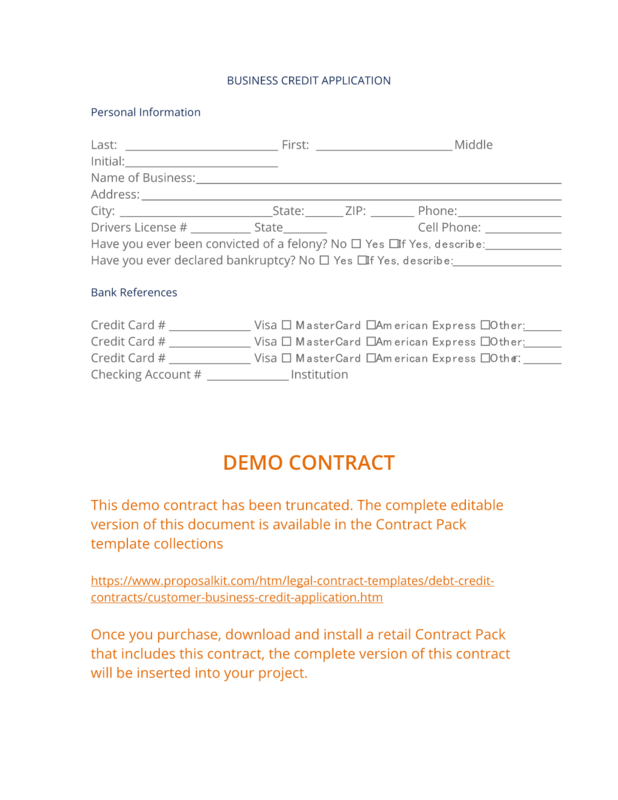 The complete Customer Business Credit Application - with the actual formatting and layout - is available in this Contract Pack.